Hearing impairment is a common chronic condition affecting millions of people globally. According to the World Health Organization (WHO), hearing impairment is the most common disability in newborn children worldwide. In Australia, hearing loss is very common with approximately 13% of the population are affected by partial or total hearing loss. In 2003, adult-onset hearing loss was ranked as the eighth leading specific cause of burden of disease and injury, comprising 2.5% of the total disability-adjusted life-years. 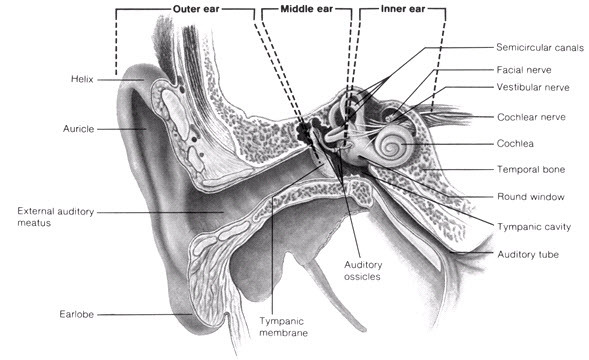 Hearing impairment occurs when there is a reduction or loss in the ability to perceive sound resulting from an abnormality at any point of the auditory pathway (Figure 1). o cause social and emotional problems. *The grades/severity of hearing loss is also categorised differently for different age groups.